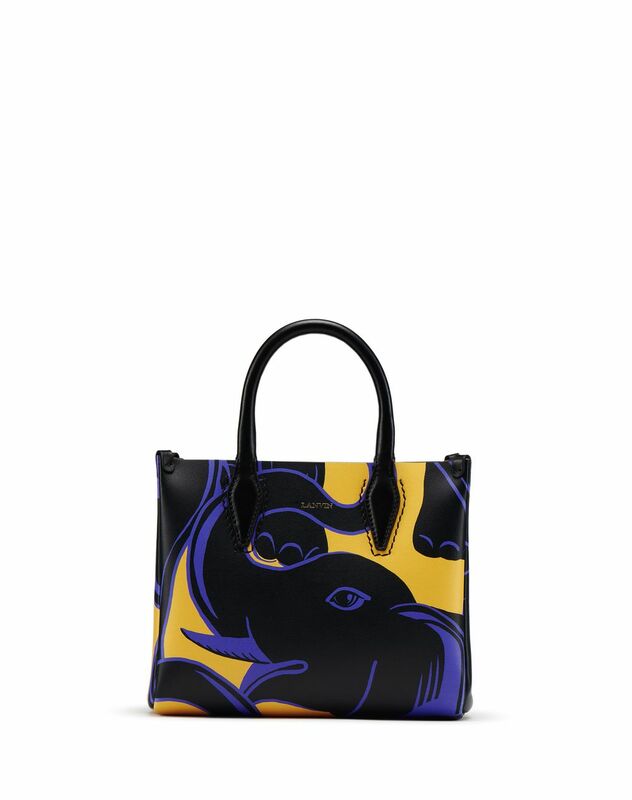 Nano "Journée" bag in smooth dark purple "Elephant" print calfskin leather, gold "Lanvin" logo detail, two inner compartments separated by a large zippered pocket with a "JL" two-way pull, one large inner patch pocket, detachable shoulder strap and beige calfskin leather lining; can be carried by hand or across the body. 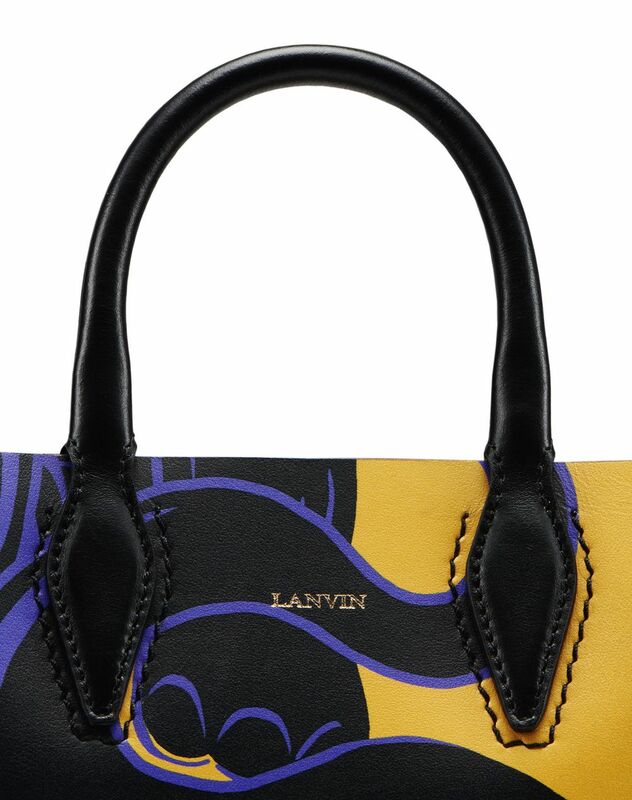 A timeless Lanvin classic, the nano "Journée" bag combines both luxury details and practicality, and features the season’s key print. 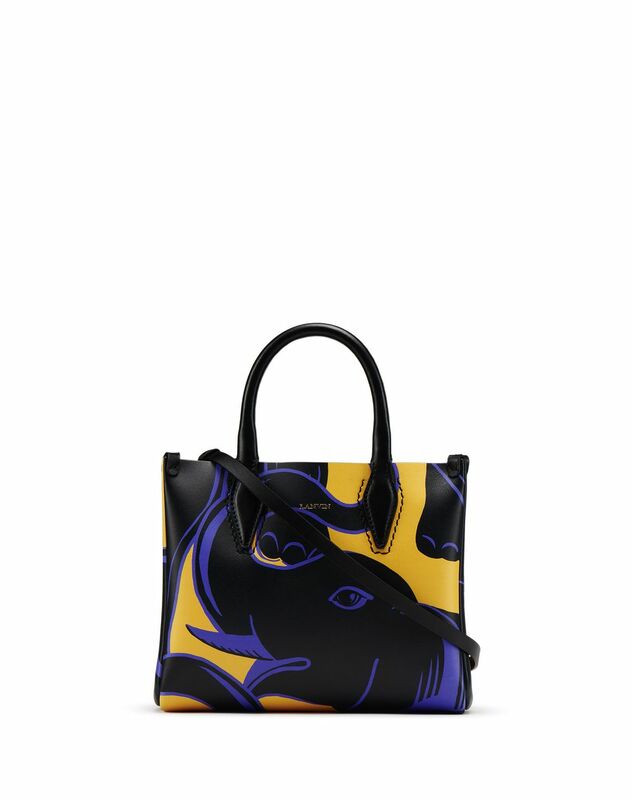 Inspired by the theme of travel, the graphic and feminine "Elephant" print is featured here in a palette of soft yet contrasting colors to give this piece character. 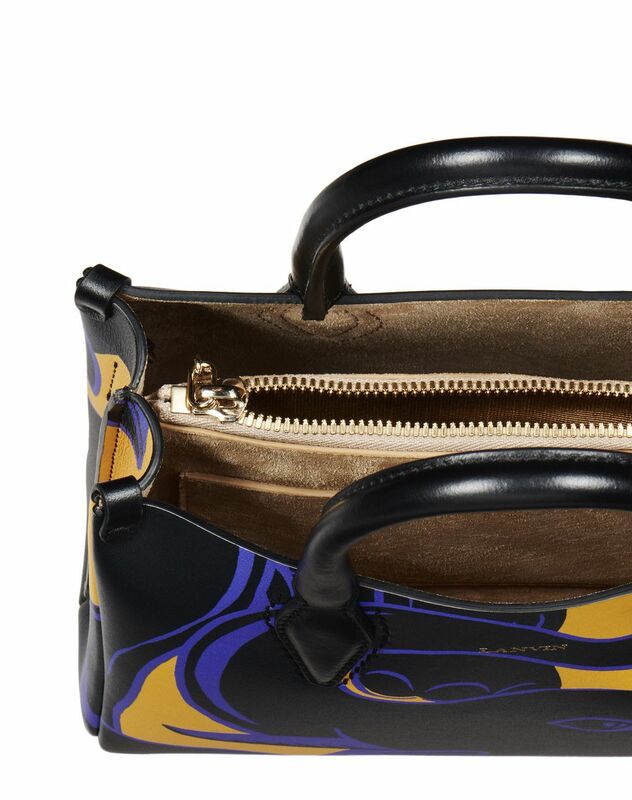 The modern and functional Journée bag can be used for any occasion, either carried by hand for a sophisticated look or across the body for everyday comfort.